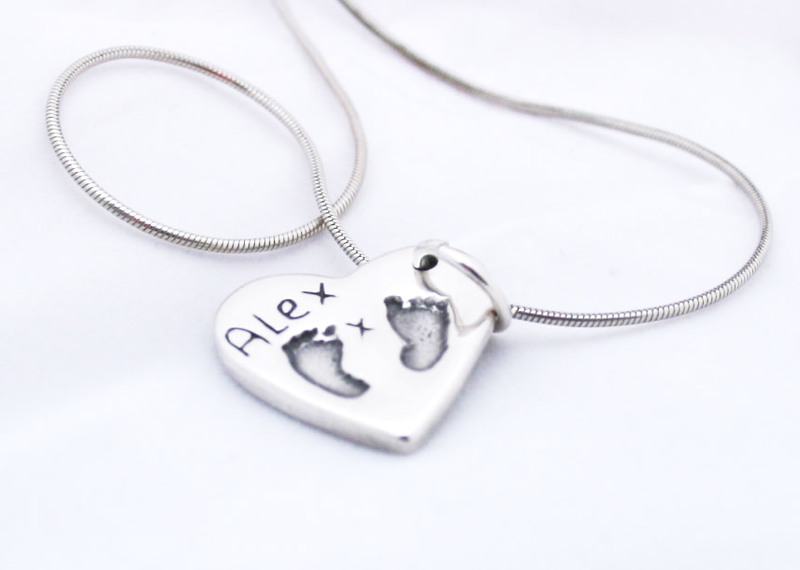 Hand and footprint jewellery can be done at any age, from birth upwards. To order you can make an appointment to come and get the prints done by me in Lower Earley, Berkshire, or, if you are not local, I can send you an easy to do kit, so you can do the prints yourself and post them back to me. If you would like a doodle or signature charm you just need to email me the artwork at info@thelittleprintco. All of our Keepsake Jewellery is completely bespoke, hand-made and unique to your child or loved-one. Please get in touch to discuss your requirements or to view samples. We also offer a range of wedding and aniversary gifts incorporating your own kiss and message.